This time of year we are constantly bombarded by the sights and smells of the holiday season. It’s not easy to sit in the library studying for that midterm your teacher decided to give the day before Thanksgiving break while your mind wanders to thoughts of delicious food and good company. 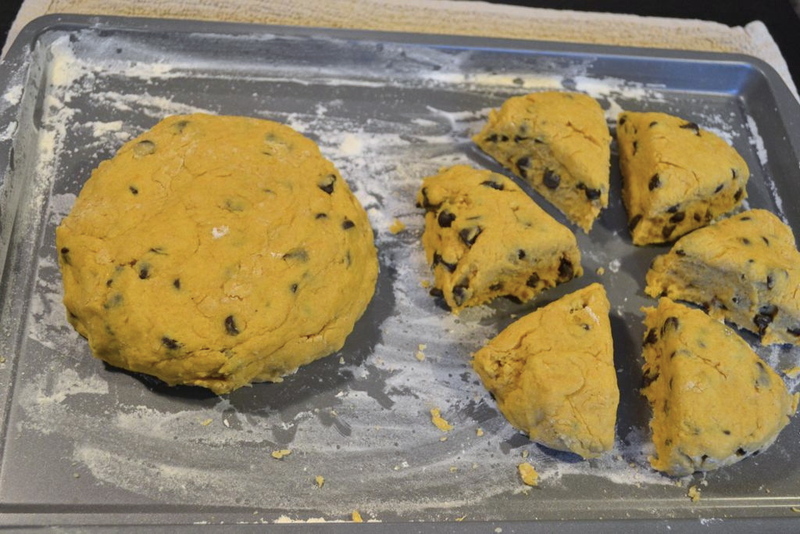 This pumpkin scone recipe will satisfy your sweet tooth and provide a much-needed dose of comfort to tide you over until you are worry-free and homebound. 1. In a large mixing bowl, whisk together the flour, sugar, baking powder, salt, and spices. 2. Cut the butter into small cubes and with your hands work it into the flour mixture. It is okay to have small chunks of butter remaining. 4. In a separate mixing bowl, whisk together the pumpkin and eggs until smooth. 5. Add the pumpkin and egg mixture to the dry ingredients and, using your hands, make sure to incorporate everything until it all sticks together. 6. Sprinkle some flour onto a baking sheet, scrape the dough out of the bowl and divide into two rounds (about an inch think). 8. Separate the wedges so there is about 1/2 an inch of space between them. 9. For the best texture, place the pan of scones in the freezer, uncovered. 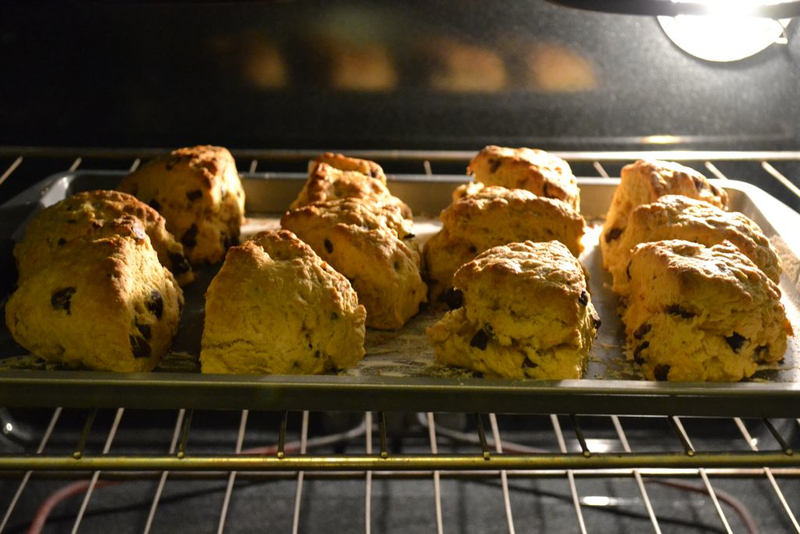 While the scones are chilling, preheat the oven to 425°F. 10. Bake the scones for 15 to 20 minutes or until golden brown. 11. 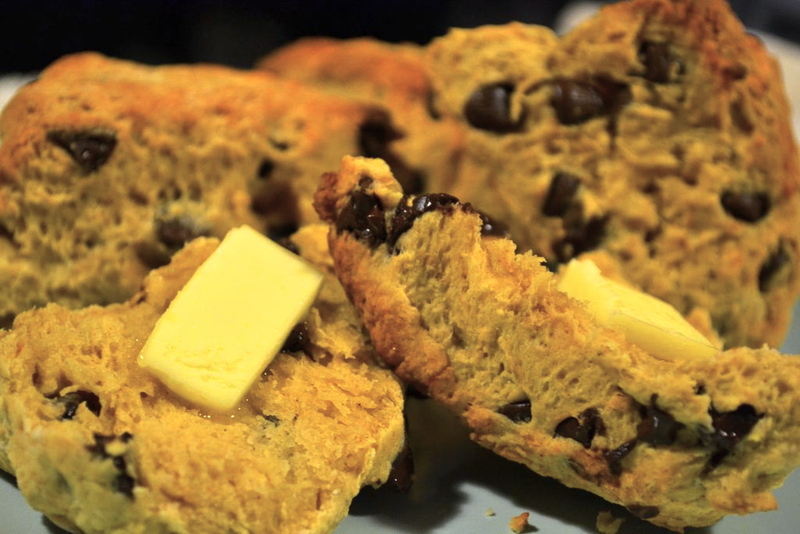 Remove the scones from the oven, and serve warm with pumpkin honey butter (see recipe below). 1. Soften the butter in the microwave and stir in all the ingredients until smooth. 2. Put mixture into a small container and place in freezer until hard.